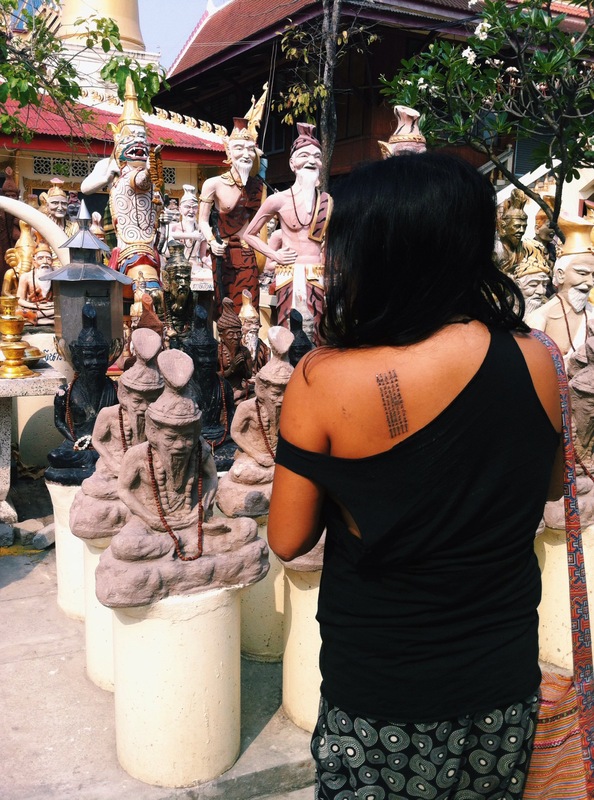 The day I received a tattoo without having any idea what I was getting… | REWRITING THE RULES OF LIFE, TRAVEL & BEYOND. REWRITING THE RULES OF LIFE, TRAVEL & BEYOND. 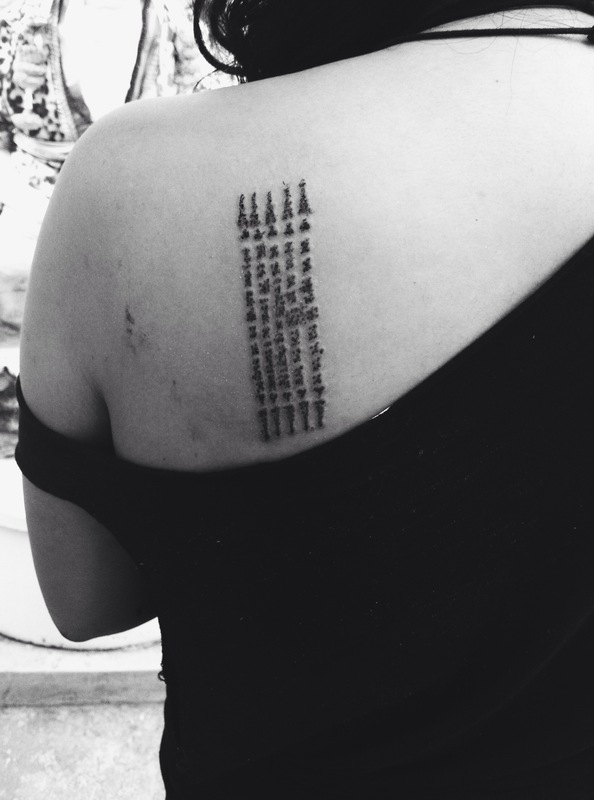 I met a girl throughout my travels (Annika – if you’re reading this, thank you) who inspired me with a tale of her crazy tattoo experience in Bangkok, Thailand. It played on my mind for quite some time. I just loved the idea of it, the uncertainty and excitement of not knowing what I would get on my body. After awaking at 5:30 am, I dragged Annabel out of bed and we set off to go to the Wat Bang Phra temple, located 50 km away from Bangkok. Struggling to find the Victory monument we ended up ‘splurging’ and getting a taxi there for 500Baht (which in reality is $20), but you get the point. My excitement to arrive early resulted in getting there approximately 2.5 hours before it even opened. There was no queue, no-one around but a few Thai locals lurking around. 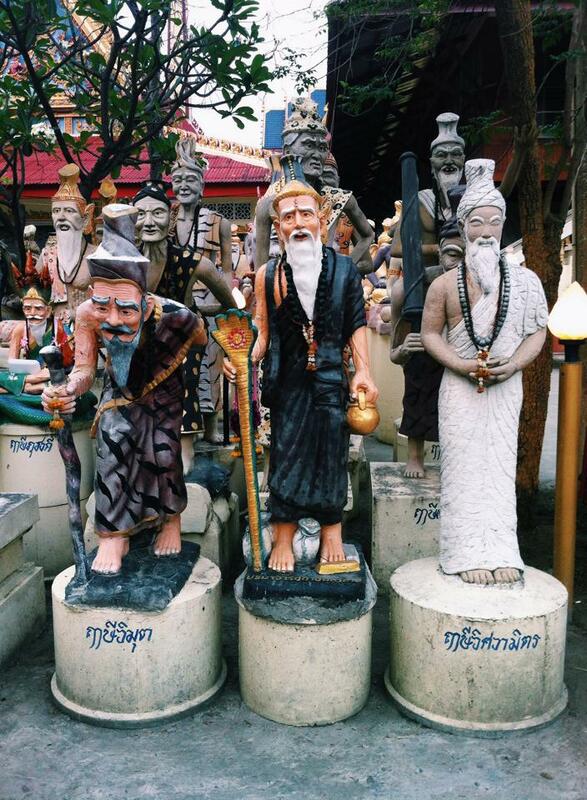 It’s a pretty unique temple with all sorts of statues everywhere. 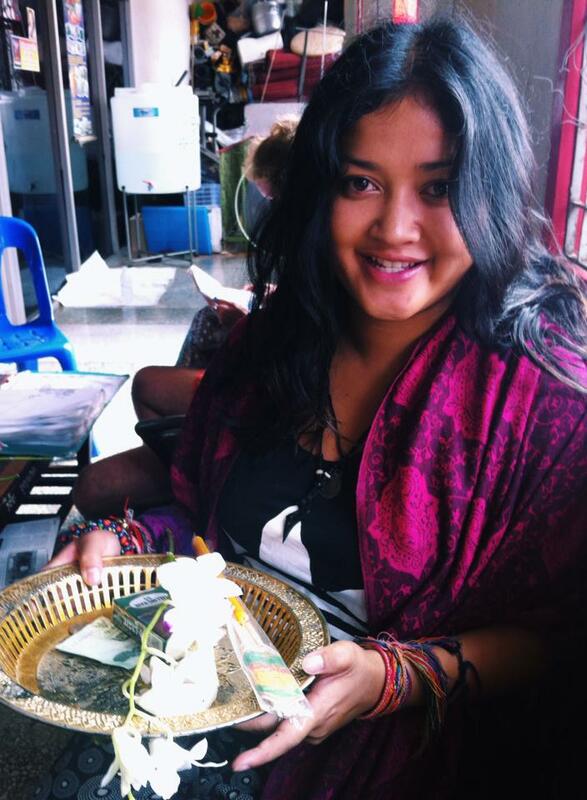 I bought an offering for 75 baht, which consisted of flowers, a packet of cigarettes and a donation of 25 baht. As we sat downstairs, the room began to fill up with lots of Thai men and women who were also, as it seems, getting tattooed. Now, let me get something straight. This whole process is considered a blessing and protection. The Sak Yant is a sacred blessing to protect you in health, happiness etc that has been around for hundreds and hundreds of years. 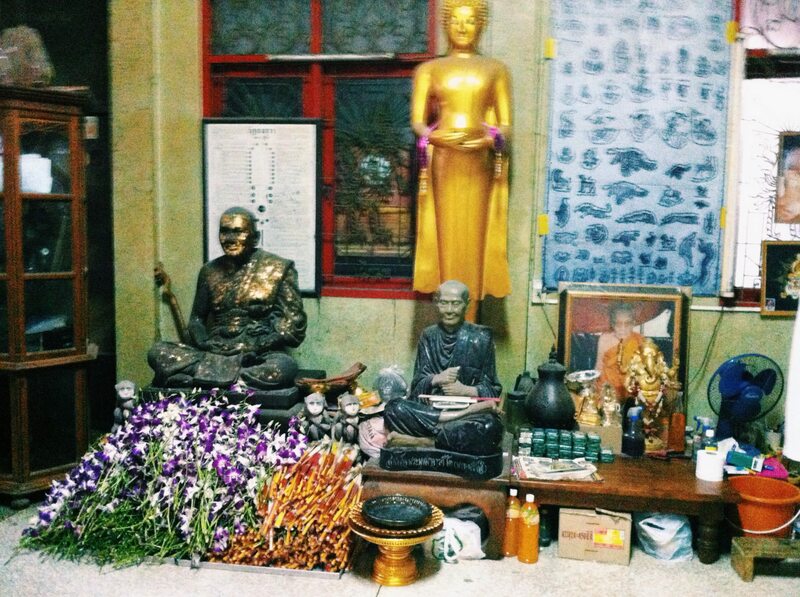 It’s a very sacred process and done by monks with many of the people in the room completely covered in Sak Yants! You watch on as the monk sits in front of the room, with two local Thai men holding people down as they were getting tattooed. It’s not a ticketing system, people pretty much just go up one by one. You know what’s crazy about all of this? You have no say in what you get or where you get it. It’s done based on your aura and payment is simply through an offering. So it actually cost me about $4…crazy! Finally, after much anticipation and a lot of sweating, it was my turn. I didn’t have any time think about receiving a tattoo where I had no choice or say in. I was signing myself up to a permanent trademark in some way. It hurt like hell. It took 10 minutes but felt like an eternity. 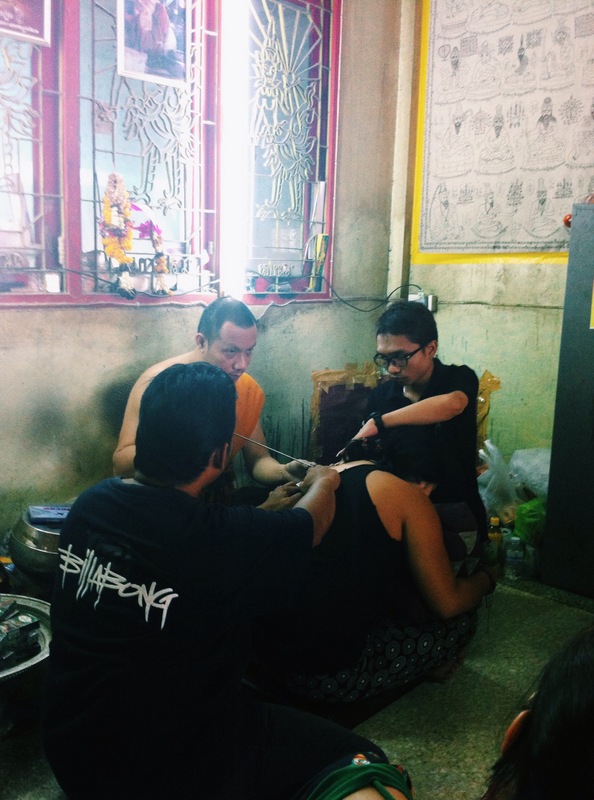 Once it was finished, the monk starts chanting and blows on the tattoo. I then turned around and knelt on the ground, bowing three times as a sign of respect. I was high on adrenaline and had no idea what I had gotten on my back. I got the Hah Taew – the five sacred lines. Today, when people ask me what each line means, I genuinely have no idea. I may never know, but that doesn’t matter. I feel pretty blessed, so something must have worked! 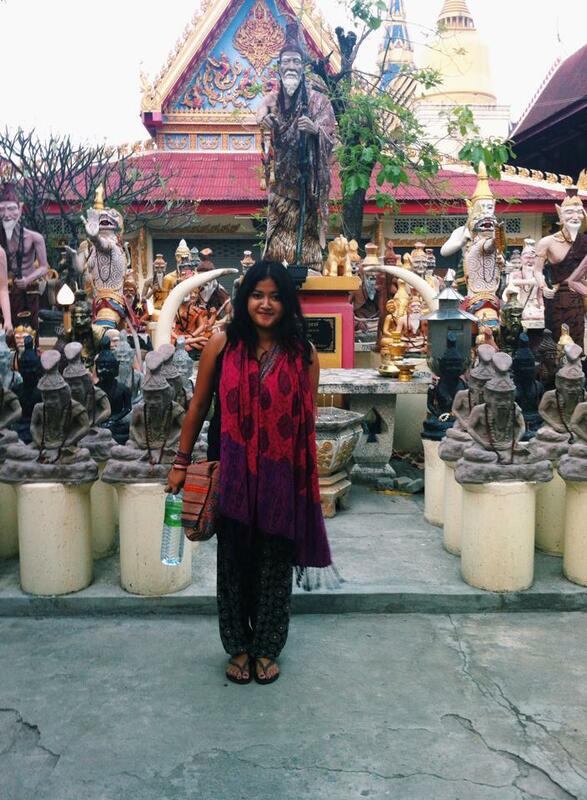 27 | Part-time traveller | Free soul with a weakness for getting off the beaten path and living life on the edge. How Travel taught me 10 very important lessons one year on.